In the works since 2012, the WaterHub is now open and running at capacity. 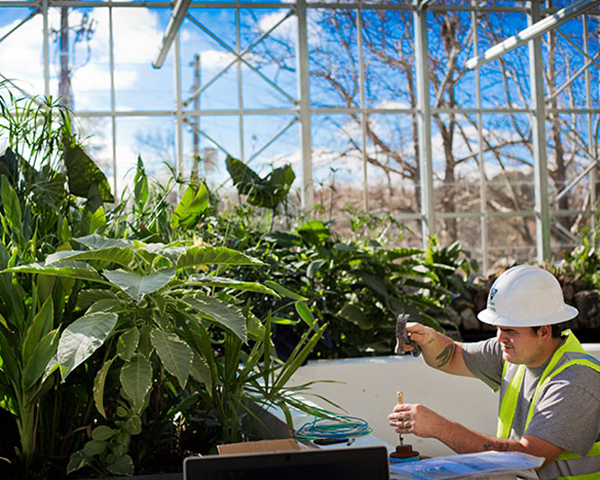 This unique, on-site, bioengineered water recycling system is more than innovative; it captivates the imagination and shows how determination, collaboration and passion can come together for tremendous success. The building dedication and ribbon cutting ceremony was held April 17 with Ciannat Howett presiding, and remarks from representatives from ARC and Sustainable Water, as well as Gloria Sclar (student at the School of Public Health) and President Wagner. Managing the plant life that helps scrub the water clean. From the outside, the building looks like a greenhouse situated quietly behind the Sorority Village off Eagle Row. Utilizing a nearby wetland that acts as an additional filtering system, the WaterHub includes ultraviolet disinfection that helps the water comply with state and local health requirements. When you walk inside, you see that it’s much more than a greenhouse. The WaterHub features anoxic and aerobic bioreactors which help mimic the ebb and flow of natural tidal wetlands. 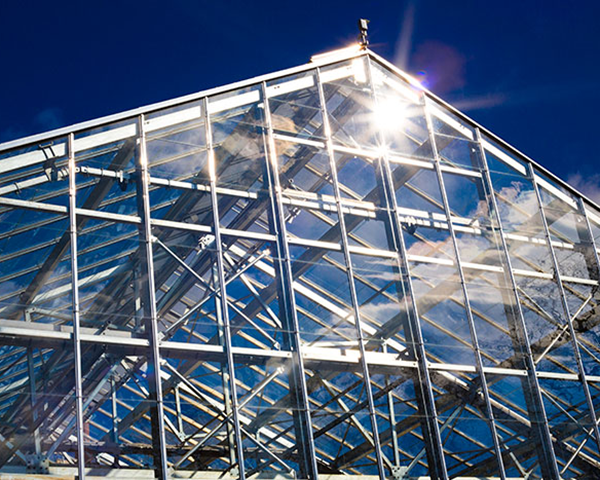 Plants and gravel in the facility contribute to beneficial microbial growth, polishing the water before it passes through a clarifier tank, a disk filter system, ultraviolet disinfection and then to a storage tank. This water will be used for the chiller and steam plants across campus, landscape use and eventually in the Residence Halls for toilet flushing, which will cover nearly 40% of Emory’s total water needs by recycling up to 400,000 gallons of water per day. Want to visit? Tours will begin again in June. Please contact Brent Zern at brent [dot] zern [at] emory [dot] edu. Last May, Emory applied to Georgia Power to participate in their Advanced Solar Initiative. 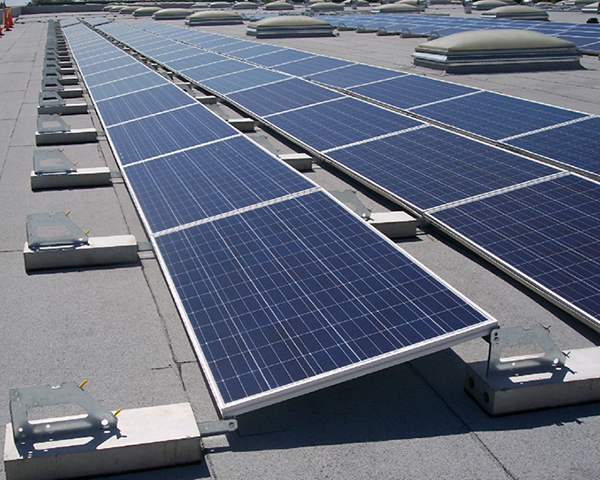 This month, they completed the installation of solar panels for the 1762 Building on Clifton Road. Installation on the roof of the North Decatur Building is well underway and should be completed this month. At 1762, Kim Comstock said “Other than the power outage to switch over, there’s been no noticeable difference.” The solar panels work to absorb the sun’s rays and convert the energy into kilowatts which will be used by Georgia Power as clean green energy. The project is a partnership with Inman Solar, Georgia Power and Emory. The benefits for Emory include renewable energy credits, as well as a reduction in emssions and in our carbon footprint. Emory’s first foray into solar power was at the Few and Evans residence halls, where six solar panels continue to operate by powering a pump that brings reclaimed storm water into the buildings as toilet flush water. This latest installation is part of the continuing story of Emory’s sustainable initiatives. This entry was posted in Projects and Processes and tagged sustainability. Bookmark the permalink. Post a comment or leave a trackback: Trackback URL.